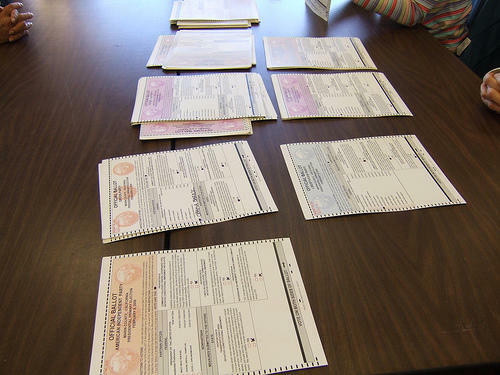 “The theory is basically it's a lot cheaper and maybe easier to defeat a ballot proposal before it ever gets on the ballot by knocking it down in court,” Gorchow said. Last week, two more business organizations formally launched challenges to proposals headed for the ballot this November. Michigan Opportunity — a group tied to the Michigan Restaurant Association — is leading the effort against the minimum wage proposal. Attorneys for business organizations such as Small Business for a Better Michigan are seeking to block a proposal that would require employers offer paid sick time. And finally, the Michigan Chamber of Commerce is fighting against a ballot proposal to change how electoral districts are drawn. The state Supreme Court will hear arguments on that challenge this Thursday. Zach Gorchow is an editor of Gongwer News Service. He joined Stateside’s Cynthia Canty to discuss how these challenges reflect the current state of politics in Michigan. According to Gorchow, there have not been this many meaningful proposals on the ballot since 2012. Those proposals faced a number of challenges, too. This post was written by Stateside production assistant Sophie Sherry. The proposal to change how Michigan draws the lines for congressional and legislative districts is about to go on the ballot. But, will it stay there? The question to create an independent commission to handle the job of redistricting is poised to become Proposal 2 on the November ballot. The group that gives the OK to what questions make it on the ballot meets Wednesday. The group Citizens Protecting Michigan’s Constitution has filed an appeal with the state Supreme Court and asked the justices to put an immediate hold on the lower court decision that would place the question on the November ballot. A proposal that seeks to end gerrymandering in the state will be on the ballot this November. The Board of State Canvassers voted to add the question from the group Voters Not Politicians on June 20.